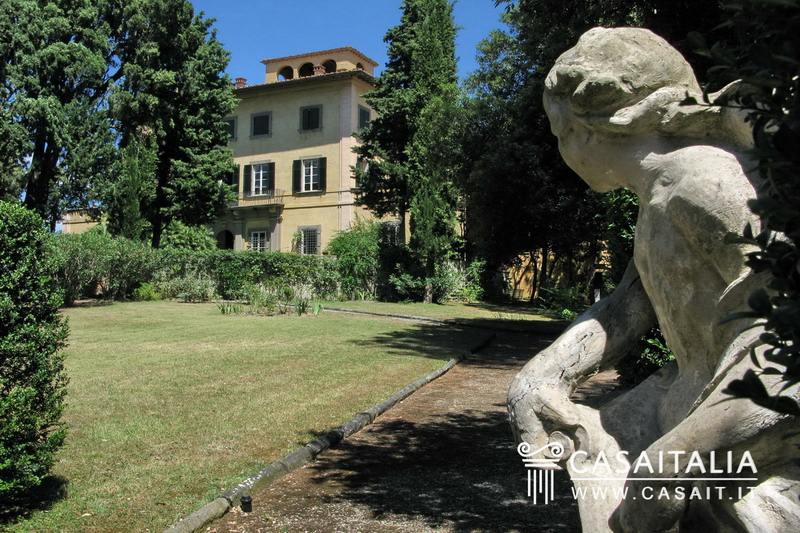 In the vicinity of a small hamlet between Pisa (35 km) and Florence (77 km), embraced by a wonderful 1-hectare park preserving its privacy, there is Villa delle Baccanti, a charming period property. The villa is conveniently located, secluded but not isolated and bosts breathtaking views over the unspoilt countryside of green hills, among vineyards, woods and olive groves. The Thyrrenian sea is just 31 km away, while the highway A12 and Pisa with its Airport are respectively 20 and 33 km away. Description of buildings A path lined by centuries-old cypresses spreads over the gate entering the park up to the a court overlooked by the villa's facade. The villa spreads on three levels plus attic floor and covers an overall area of 1.429 net sqm plus 86 sqm of terraces. The property is overlooked b a rooftop loggia boasting a 360 degrees view. 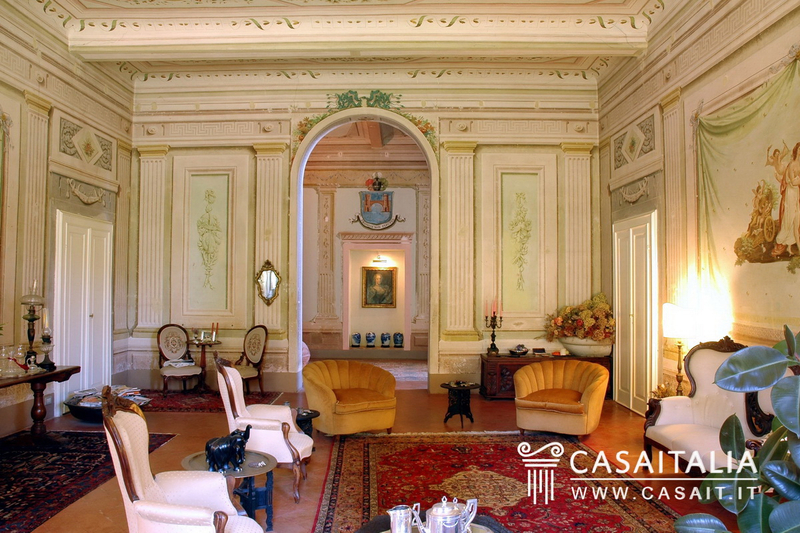 Ground floor The ground floor of the villa hosts a beautiful hall with frescoes: the walls and the high ceiling are decorated with classic patterns, while in the middle of the opposite wall a round arch give access to the staircase leading to the upper floors. 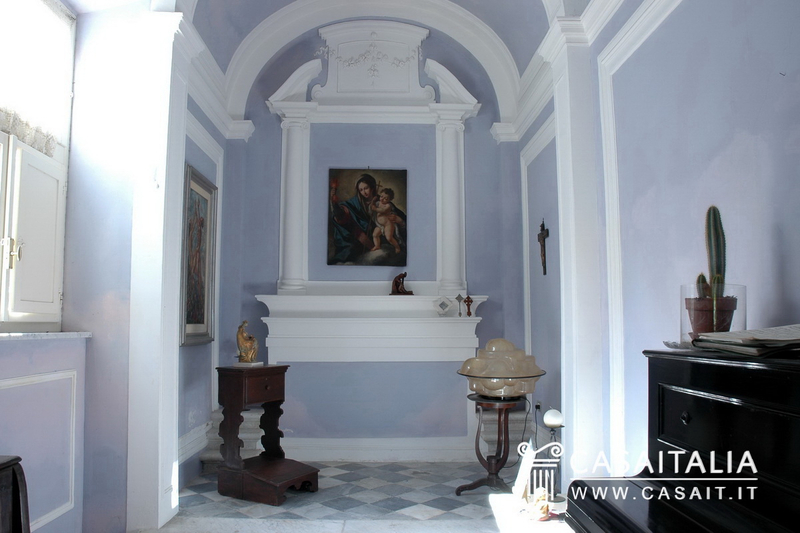 The hall is surrounded by two sitting-rooms, living-room, dining-room, kitchen with fireplace, kitchenette with pantry and beautiful private chapel. 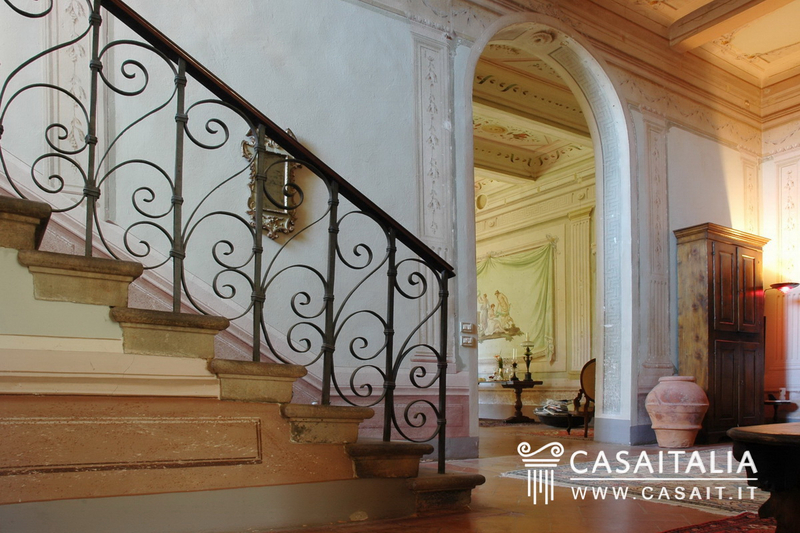 Beyond the staircase there is an independent area composed of dining-room, kitchen, bedroom and bathroom. The staircase with old stone steps leads to the first floor, that is the noble floor. 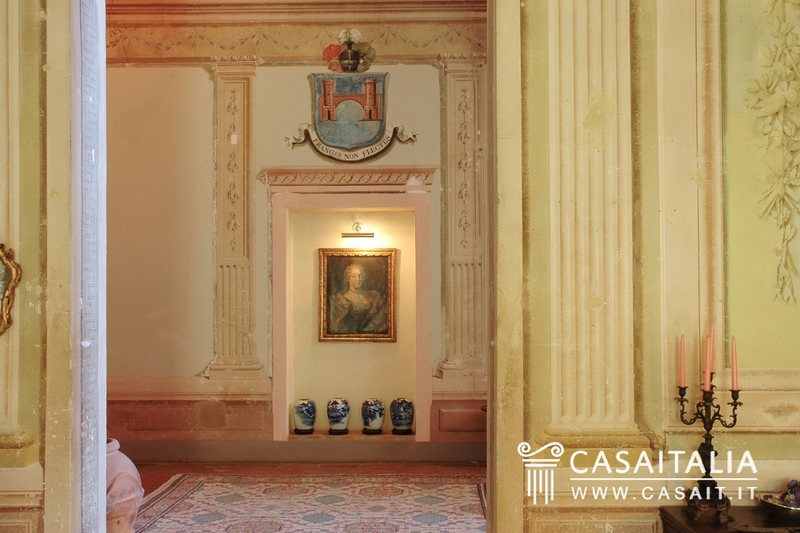 The rooms follow the layout of the ground floor with a central hall featuring wall with frescoes representing war scenes that is surrounded by five bedrooms, three bathrooms and two additional room suitable for studios or further bedrooms. The living room featurs two large terraces accessible from the studio and the bedroom, while a long balcony in front of the sitting-room overlooks the path and the park. 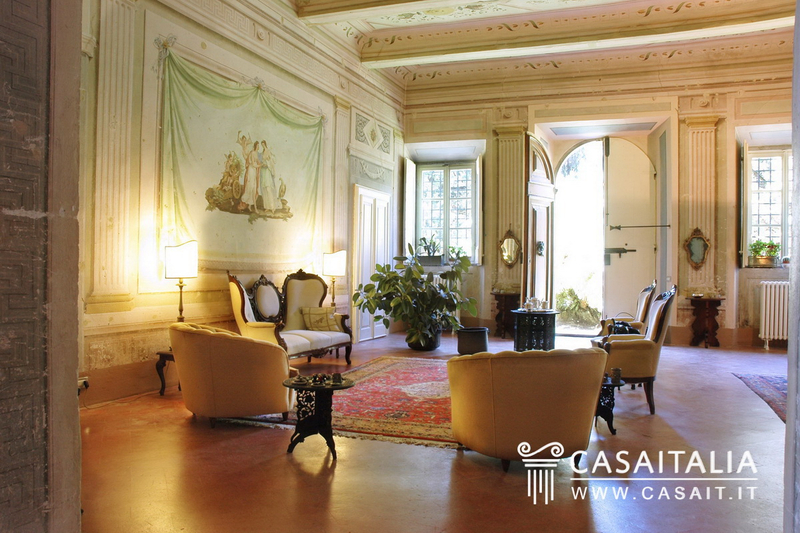 The second floor consists of seven bedrooms used as studio and bedrooms with three bedrooms. A secondary staircase gives access to the attic floor consisting of a large central room plus eight rooms currently used as loft but potentially sutiable for different purposes From here, it is possible to enter the rooftop loggia located over the roof. Almost all the furniture is included in the sales price. 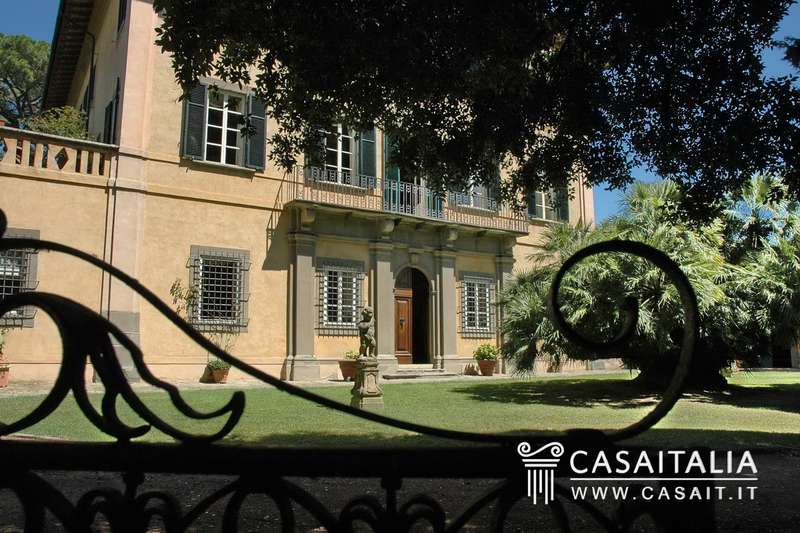 Condition The current owners have looked for many years for their ideal dwelling in the ideal location and eventually they fell in love with the charm of Villa delle Baccanti. 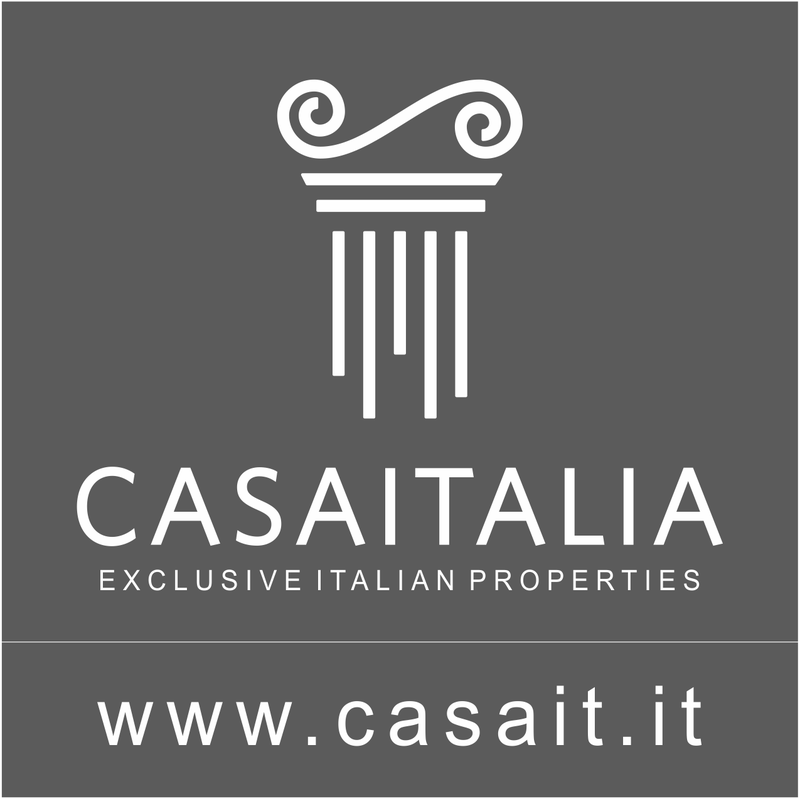 They are fond of historic restoration, having a strong experience in this field, they have dedicated some years to the villa renovation. 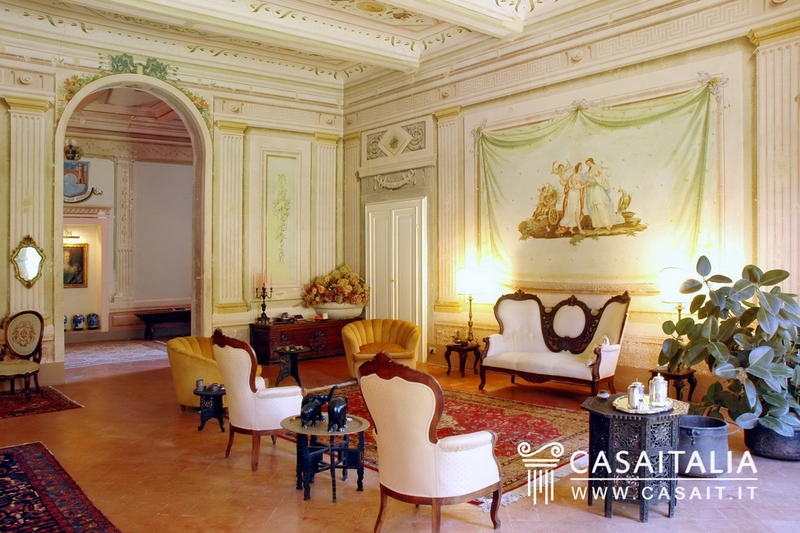 Thanks to the passion and meticulous care of details, the villa is nowadays back to its splendour with its frescoes*, the old cotto paved floors, the park, the tree-lined alley. 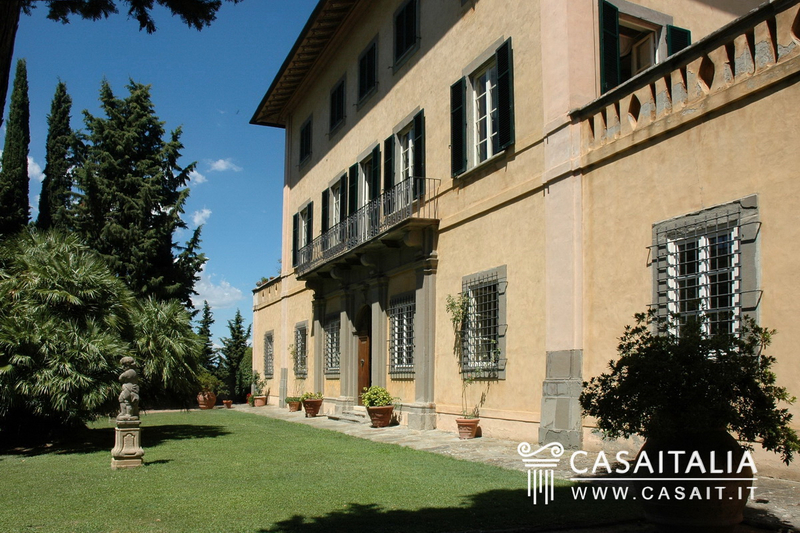 Everything is in perfect condition (only the attic is still used as a storage room) and the villa is livable straightaway. 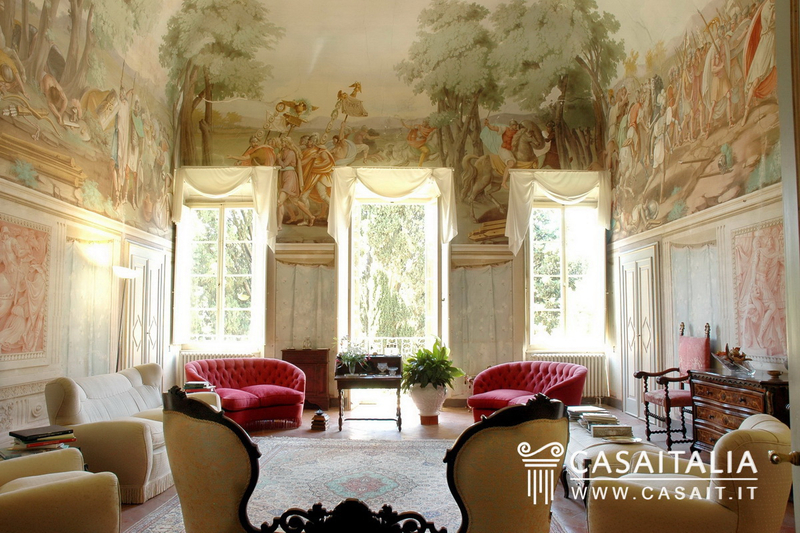 *Note Some of the frescoes have been painted by the Ademollo, important artist of the 18th century. 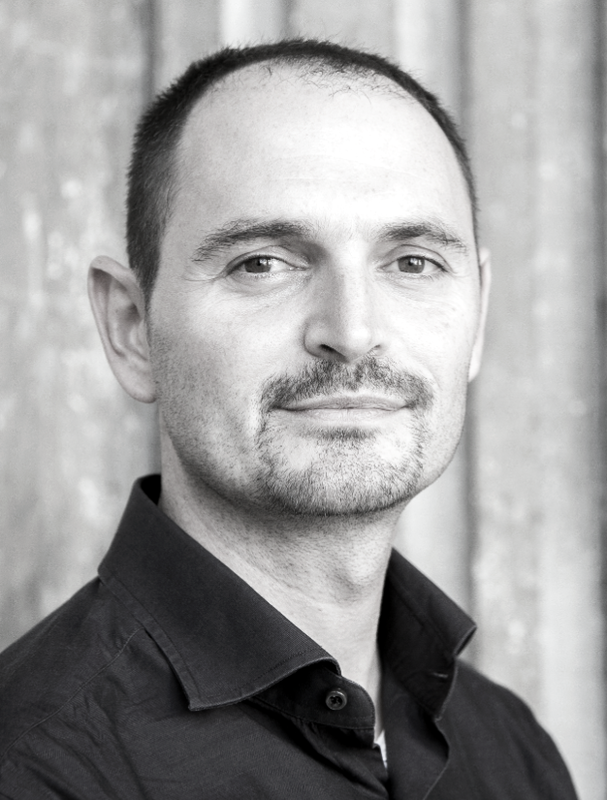 Ademollo seems to be the same painter who has accomplished the paintings in one of the halls in the Ducal Palace of Lucca and in the Royal Palace of Pisa. Outdoor space Fenced trimmed alleys border the shape of the private Park that is about one hectare wide within which century old trees and forest trees have found their space and a wide stone pond-fountain is used to cool down during summer. Usage and potential Fenced trimmed alleys border the shape of the private Park that is about one hectare wide within which century old trees and forest trees have found their space and a wide stone pond-fountain is used to cool down during summer.